Q: Is this Xenon Headlamp Kit water proof? 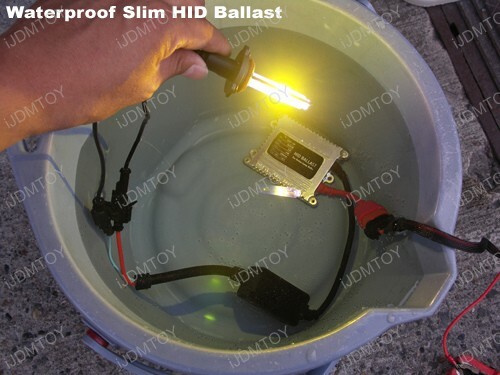 A: The HID ballast and igniter are 100% water proof. Q: Will this Xenon Headlamp Kit fit my car? A: Please visit Osram Sylvania's Lamp Replacement Guide to determine what size you need for your car prior to purchasing. We recommend double-checking what size you need by pulling out the factory bulb as well. 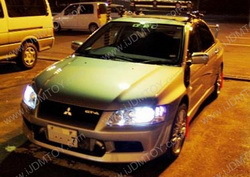 Q: Will I have to modify my car to fit this Xenon Headlamp Kit? A: No physical modification to the car should be needed if the correct sized lights are purchased. 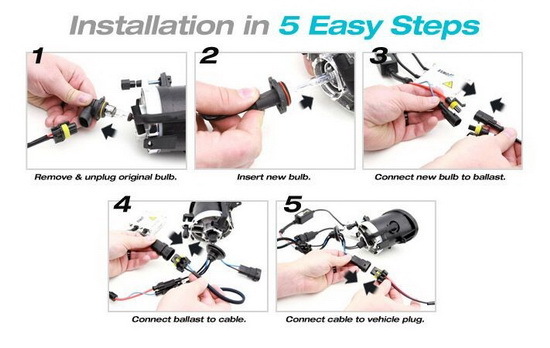 Q: Do I need anything else to install the Xenon Headlamp Kit? 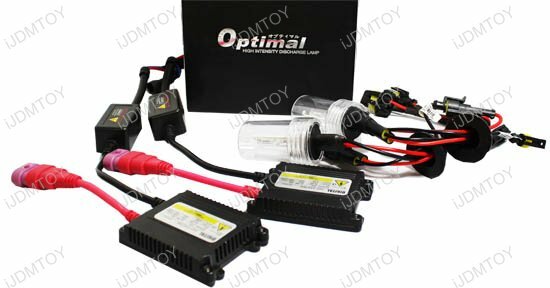 A: The kit comes with all the important components for installation such as the HID bulbs, HID ballasts, and basic wiring. Additional components such as relay harnesses, decoders, and/or HID bulbs holders/adapters may be required for certain cars. In order to determine if you need these, contact us and we'll assist you. 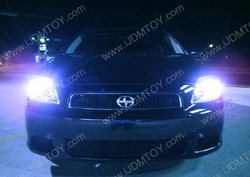 Q: How do I install the Xenon Headlamp Kit onto my car? Q: Why do I need CANbus decoder? 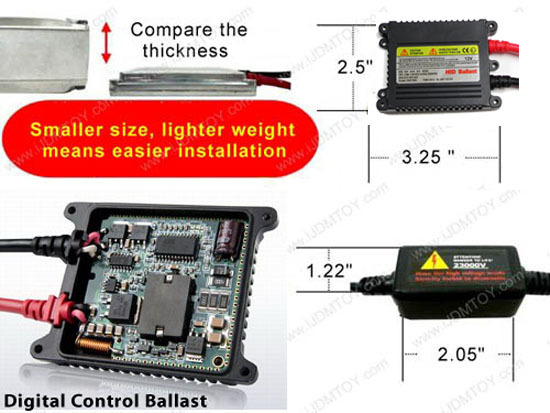 Q: Can I use double-sided tape to mount the HID ballast? 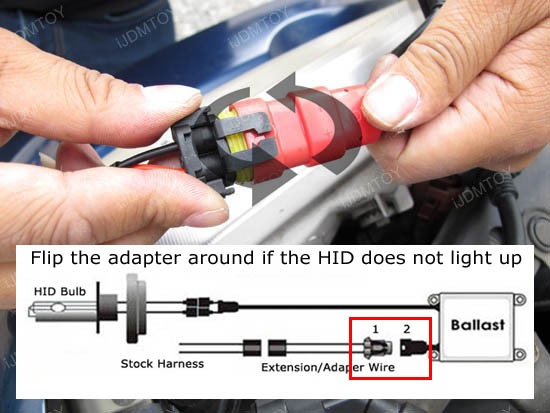 A: We do not recommend you use double-sided tape to mount the HID ballast because over time it will fall off. Instead, we recommend you use zip-tie to mount the ballast. Q: How come there are some "dirt" inside the HID bulb? Is it used? A: No, the so called "dirt" inside the HID bulb is the actual chemical used to produce the different colors such as 6000K xenon white, 8000K ultra blue, 10000K deep blue and 12000K light purple. 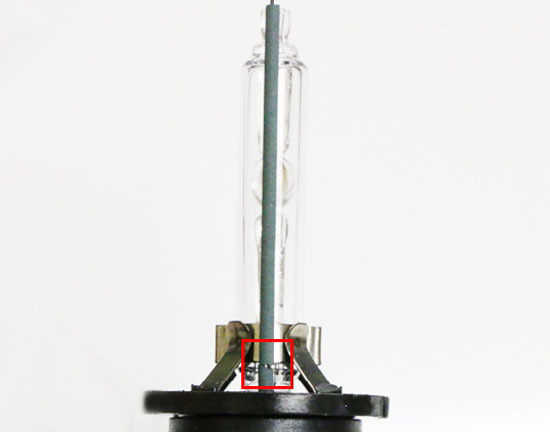 Q: How come the tube right next to the bulb is cracked? 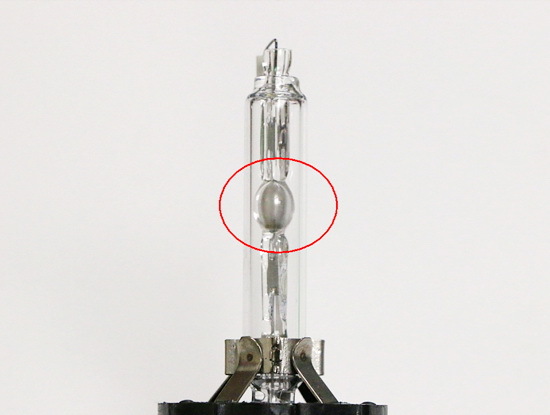 A: This tube is made with a high temperature ceramic used to identify the Kevin (K) of the HID bulb using different colors (example: 6000K-White, 8000K-Blue, 12000K-Purple). Even without this tube, the HID bulb will still function 100%. Q: Do you carry 55W Xenon Headlamp Kits? A: No, we do not carry 55w Xenon Headlamp Kits because they have too many problems such as overheating, melted harnesses, and unreliable components. Q: Are your Xenon Headlamp Kits AC (Digital) or DC (Analog)? 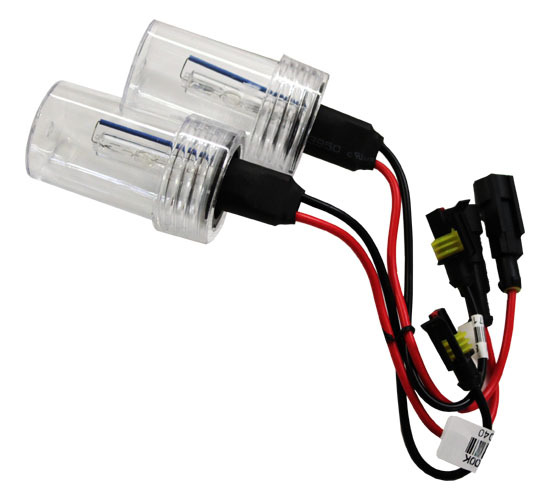 A: Our kits use AC Digital HID ballasts and HID bulbs for superior performance and longevity. Q: What does Bi-Xenon mean? A: Bi-Xenon Xenon Headlamp Kits change both the high beam and low beam lights to HID; this is available for the 9003/H4, 9004/9007, and 9008/H13 bulb sizes only. 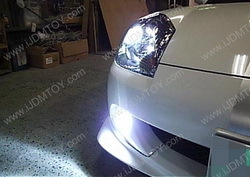 Q: Can I use your Xenon Headlamp Kit with my daytime running lights? A: Typically, no. 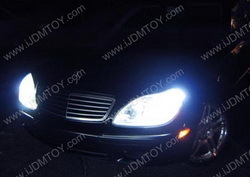 Most daytime running lights usually operate at 6-8 volts and HID lights require 12 volts to operate properly. We only recommend using our Xenon Headlamp Kit with 12 volt systems only. 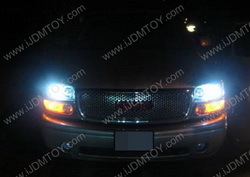 Our iJDMTOY 35w Xenon Headlamp Kit is best way to increase the output of your headlights or fog lights to see better at night. 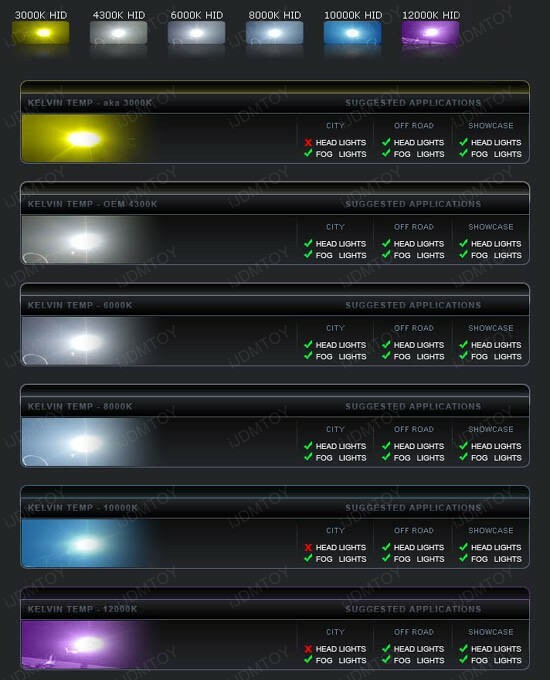 The Xenon Headlamp Kit will convert the factory equipped incandescent halogen lights into something similar to what you would find on many higher end luxury vehicles such as Mercedes-Benz, BMW, Lexus, and more! HID stands for high intensity discharge and is a much more efficient at turning electricity into usable light output compared to factory halogen bulbs. They last much longer and provide 3-5 times more light output than them too. Our HID conversion kits consume less power while providing more light at the same time. Our Ultra Slim Digital HID ballasts have an embedded electronic chipset that regulates the electrical current to make sure the input to the HID bulb is stable at all times which helps improve the HID bulb's lifespan by 30%. Our ballasts also feature the best and latest reverse polarity protection and shock protection system which reduces installation issues and improves longevity. The installation is virtually fail-safe and is plug and play. 5 of 5 Total Reviews: 27 Write a review. They fit perfectly and they look great. The only issue i had during the install was, I had to re-pin the factory plug. Ford has the hot side reversed on both sides. Once that issue was resolved everything worked as it should. 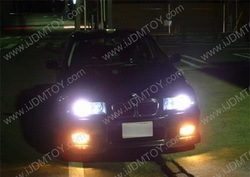 I would recommend these to anyone looking for a much improved fog light. Installed the 35w 8000k kit in the low beams of my truck and it has performed flawlessly! 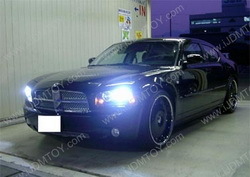 As of right now I'm ordering high beams to match! Awesome product by an awesome company! Finally had some time to install them on my 2014 accord!! 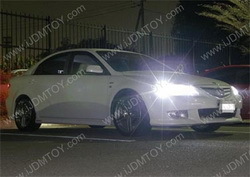 Headlights & fog lights look awesome & bright!!! None of that ugly stock bulbs! !